No explanations or instructions are needed to understand how to play. Ok... ok. If you insist. Click with it, I mean. At the right time. And move it. To run faster. Beware of the lights. They're usually attached to a car. Oh, that thing with the hi-score, well... better be a big number. 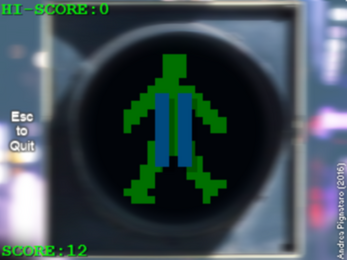 - Click with the left mouse button to start or pause the green man walk. - When the light gets brighter, the car gets nearer. In that case, pause the walk and wait for the light to disappear. - Every step adds a point to the score. - Moving the cursor makes the man walk faster. - Sometimes the green man walking can stumble when blinded by the bright lights. If you click on play and he suddenly stops, QUICK click again! 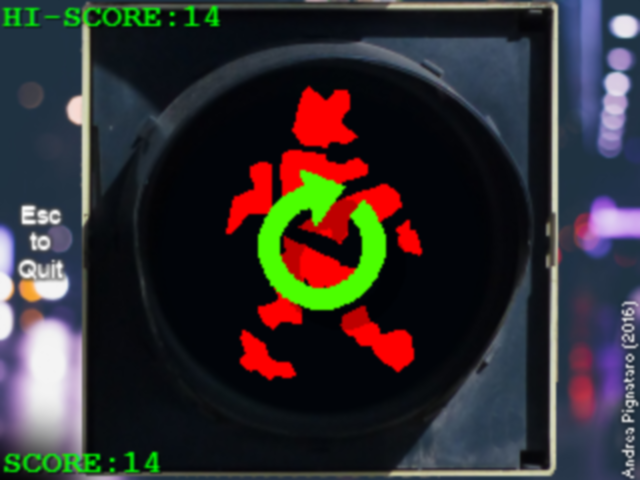 - If you get hit by a car, don't despair: you can immediately restart the game clicking on the green arrowed circle! - Your boring real life can be reached again pressing the "Esc" key. 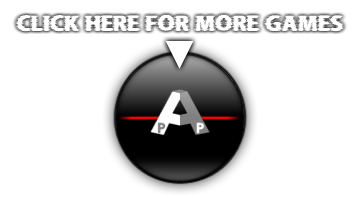 - Remember: Aim to the highest score ever! And ever. 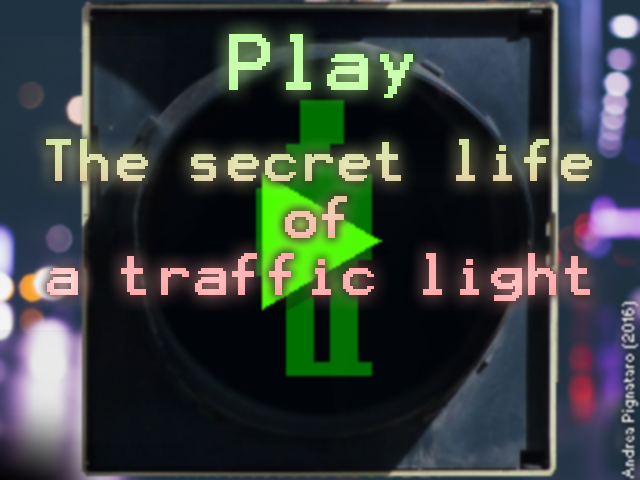 Nice and interesting audio-based game! That first time a car crashed, it made me jump! Thanks! 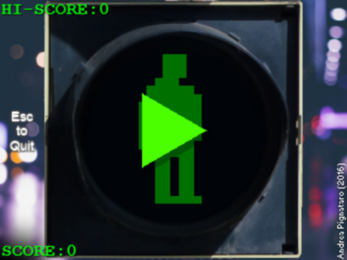 Yeah, it's an old, experimental game I made for a quick gamejam (not an itch.io one).